This is your semi-weekly/periodic wrap-up of Nats and other baseball news that caught my eye. With the approaching Hall of Fame nonsense, er I mean news cycle approaching, I’ll throw in a HoFame section. Former Nat Lastings Milledge is going to Japan to try to resurrect his baseball career. Scouting-specific SeedlingsToStars.com site looks at Anthony Rendon. The USA Today does an in-depth, position-by-position overview of the team and where it stands. Another Tom Boswell article that I disagree with; he thinks Prince Fielder isn’t “right” for the Nats. I’m sorry; but Fielder is a run creating machine (he created 35 more runs last year than Michael Morse, by way of comparison, which roughly equates with his 5.2 Wins Above replacement value). Yes we have LaRoche who is plus defense, but is he going to come back to 2010’s form or is he going to be a lost cause again? Meanwhile, Fielder looks set to take a shorter term deal and re-try his hand at the FA market when he hits 30. Wouldn’t you sign him for 3yrs $70M? You put Fielder at 1B, keep Morse in Left, groom Bryce Harper to play center and keep Werth in right. For the next 3 years. How difficult is that? Boswell talks about where to put Rendon; well; you put him wherever you have a need. Put him at 2nd and move Espinosa to short. Or you trade someone to free up room. This team’s problem isn’t the need for a lead-off slap hitter; we need a big run producer in the middle of the order. Someone to replace what Adam Dunn gave us for two years. 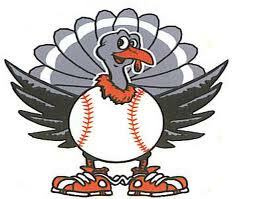 Ryan Tatusko posts his 2011 recap of his minor league season plus his time in the Venezuelan Winter League. I wish more players were as blogger-friendly as Tatusko. A pro Edgar Martinez take with the important quote, “There is a position called DH…” I have changed my own stance on this issue in recent years, especially when considering relief pitchers as hall of fame worthy. If you argue that a closer and his 60-70 innings is somehow more valuable to a team than a designated hitter’s 650 at bats, then I’d have to disagree. On my hypothetical ballot, Martinez is in. Excellent review of active MLB players under HoFame consideration by Fangraph’s Dave Cameron. Also, the comments discussion brings up a number of other players. He uses primarily career WAR to determine the player’s value, which I’m somewhat hesitant about (in most cases WAR is an accumulator stat, as a mediocre player who stayed very healthy will have a higher WAR than an excellent but shorter-lived career). This article really got to me, to the point where I commented on both the original post by Jay Jaffe at Baseball Prospectus and the discussion at TangoTiger‘s InsideTheBook.com blog. Jaffe’s hall of fame measuring system (called JAWS) somehow has determined that Brad Radke, the middling pitcher for the Twins who had basically one standout season in his career, was a BETTER player career-wise than Jack Morris. How would any sane baseball observer possibly come to this conclusion? This is where the modern blogger’s over-reliance on statistics really gets to me. I have not read into why this system ranks Radke so high while ranking Morris so low but suspect it is due to a reliance on the same calculations that go into the ERA+ statistic (of which Radke’s career ERA+ of113 is better than Nolan Ryan‘s career era of 112). Oakland continues to dismantle itself: Boston trades OF prospect Josh Reddick and two other players to Oakland for closer Andrew Bailey and outfielder Ryan Sweeney. This is after Boston acquired Mark Melancon earlier in the off-season; they now have completely remade the back side of their rotation. Clearly the team is moving Daniel Bard to the rotation, having just traded for his replacement. Reddick was clearly seen as surplus to requirements, despite putting together a decent 2011 season, but you have to wonder if the team is going to be satisfied with Sweeney starting in RF. Keith Law makes a good point during his analysis of the Bailey move, saying that adding Bailey is a far better move than paying Jonathan Papelbon $50M. I agree completely and think that anyone who pays $10M+ per year for a guy who throws 70 innings and who only really has about 50% “high leverage” plate appearances (see last year’s splits for Mariano Rivera and Papelbon to see that 57% of Rivera’s plate appearances were in “high” leverage situations as a high, while Papelbon was at 47%) is just wasting money. Find a hard thrower in your organization (say, like Drew Storen for the Nats), install him as the closer as a rookie, then ride him til free agency and then cut him loose and start over. Relievers are fungible talents, they come and go, mostly are failed starters since they don’t need the full repertoire of pitches to be successful, and are cheaper to come by. (hat tip to ck of the Nats Enquirer): The Baltimore Sun reports that Scott Boras and Prince Fielder were in the Baltimore/DC area to meet with an owner not named Peter Angelos. More links on the topic from Federal Baseball. Gee, I wonder who it could be? Why would those two fly HERE and not directly to the city of the owner in question, unless the owner of the team in question was either a) the Nationals, or b) an owner of a MLB team who lives in this area but owns a team based elsewhere, or c) an owner of another team just happened to be in DC for some odd reason (odd because Congress is out of session, which would seem to eliminate most any possibly lobbying reason). Don’t get me wrong; I think Adam LaRoche can contribute in 2012 and it seems ludicrous to think he can’t at least get close to his 2010 numbers, but Fielder is a 5+ WAR player who probably makes us the favorite for the NL wild card if we sign him, right now. Wow, two LOOGY articles in the same day. Bill James answered a question about the evolution of the LOOGY and posted this link describing its birth (apparently by Tony LaRussa in the 1991 season). I also never knew that the term “LOOGY” was coined by none other than Rob Neyer. And TangoTiger points to some of the same research. Mid 30s lefties everywhere have LaRussa to thank for their extended careers. Could you imagine this happening in today’s game? The first intentional pitch would have resulted in ejections. Certainly modern umpires would not let a pitcher throw pitch after pitch at an opposing batter. Clearly these umpires let this game get out of hand. Will MLB step in? USAToday’s Seth Livingston thinks that the Oakland payroll dumping trades this off-season may get the attention of the front office. Hard to see why; according to Cot’s the Athletics are only signed up for around $17M of guaranteed contracts in 2012 right now, before a slew of arbitration cases. They non-tendered 3 of their 10 arbitration cases but kept a couple of their more expensive guys (Cot’s thinks they had 14 arbitration-eligible players; I havn’t cross-referenced outrights and DFAs but know they had 10 arb tender decisions). Of those they did tender, they have since traded away Sweeney, Gonzalez, Bailey, Breslow and Cahill. Geeze. Baseball-Reference thinks they’ll get to $50M in payroll; I wonder if they’ll get to $35m frankly. And, its looking more and more like this could be something like a 50-win team. Things could get ugly in the Bay area in 2012. This would be a loss for us prospect hounds: Keith Law is reportedly interviewing for a front-office position with the Houston Astros. Law takes a very specific, opinionated viewpoint towards player development, drawing from his experiences in the Toronto organization (which itself during his time took a rather college-heavy approach to the draft which ultimately wasn’t as successful as the team wanted, ultimately contributing to the end of JP Ricciardi‘s reign. An interesting exercise; USA Today builds an unbeatable MLB team for the median MLB payroll. Honestly though, I’m not sure just how challenging this exercise is. If you gave me $86M (the median payroll they used) you should be able to put together TWO such teams. There’s enough pre-arbitration and arbitration-controlled talent in the league to be able to do the same task for something approaching a $20M payroll. A future blog post? Follow-up on Alex Rodriguez‘s experimental Germany treatment; this op-ed piece from Jeff Passan on the blurry line between PEDs and legitimate surgical procedures. The article has a very in-depth description of the A-Rod procedure and raises the question as to what defines a Performance Enhancing Drug? I have had similar discussions; why are Steroids “bad” but Cortisone “good” in terms of usage? What do Cortisone shots do? They enable a player to play through pain that otherwise may keep him out. Uh … isn’t that the definition of a “performance enhancing” substance?? Steroid’s aren’t illegal; they’re just controlled. But so is cortisone; you can’t just inject yourself with the stuff without a doctor’s order. Passan takes things one step further, comparing the healing effects of HGH with these new treatments that A-Rod and Bartolo Colon got and makes a very good point; the WADA uses 3 categories to define a doping drug and everything we’ve described here can be argued to fit those criteria (except that only HGH and Steroids have been determined to be “bad” by the powers that be). There’s something inconsistent here. Seedling to the Star’s scouting report on Braves phenom prospect Julio Teheran. Teheran’s stock has slipped somewhat in the past two years, especially given the inevitable comparisons to fellow pitching prospect phenom Matt Moore. While Moore’s 2011 MLB debut was nothing short of amazing (including his 7 innings of shutout ball in the playoffs), Teheran posted a 5.03 ERA in about 20 MLB innings throughout 2011. It was bad enough to probably rule Teheran out of the 2012 rotation plans and send him back to repeat AAA. But if he can put things together, he’ll join an arsenal of young arms in Atlanta that seems set to be their next wave of starters in the ilk of John Smoltz and Tom Glavine. Baseball meets modern America: Joe Maddon and the rising Latino population in his home town of Hazelton, PA, as written by Joe Posnanski. 67-56? I’ve never seen a football game with such a ridiculous scoring line. Weekly wrap-up of Nats and other baseball news that caught my eye. In a minor move, the team re-signed its own AAA minor league free agent Carlos Maldonado, per tweet from Bill Ladson. This sets up our catcher depth for most of the system (Flores/Ramos, Solano/Maldonado, Norris/Leon, and Nieto/Fritas) and gives the team some flexibility with the inevitable injuries. Frankly Norris’ poor 2011 season jeopardizes his progression; he’ll obviously be repeating AA in 2012 and needs to show some improvement to keep his oft-repeated “close to the majors” prospect status. Chris Marrero tore his hamstring and had surgery, two weeks ago. Two weeks ago!? How did this little nugget stay hidden for so long? Most of the beat reporters had the story on 11/29 and had the same opinion as I; this probably frees up a bench spot for someone like Tyler Moore or perhaps another veteran 1-year FA. Nats are apparently interested in Mark DeRosa. No big surprise; we have basically zero competent utility infielders under contract right now. DeRosa can be 2012’s version of Jerry Hairston. Sorry to hear that Masn beat reporter Ben Goessling is leaving to join the St. Paul Pioneer Press. No word on his replacement. Per the soon-to-be-departing Goessling as well: Toronto continues to collect ex-Nats players and signs Garrett Mock to a minor league deal. I’m starting to sense a Jim Bowden-esque obsession on the part of Dana Brown with our farm players. So be it; if they were that good when he was here, we wouldn’t have been ranked in the bottom 5 farm systems of the league. Espinosa, Ramos and Strasburg on Keith Law‘s best 50 under 25 list. Harper still too young to consider. There remains to be questions whether or not Yu Darvish will actually post this off-season. Rumors of a divorce complicating his posting persist, and its now been a week since the end of the NPB season with no word of his posting status. (Jon Paul Morosi reports). Here’s David Schoenfield‘s 3-fix suggestion for each team in the NL east. His suggestions for us? CJ Wilson, putting Werth in CF and signing a corner outfielder, and decide whether Davey Johnson is the long term answer. I’m not sure the 3rd issue matters in the least: Johnson is only 69; there’s plenty of recent evidence showing guys who are older and less accomplished can be successful in the majors. His argument for Wilson makes sense; he’ll cost half of Pujols/Fielder, wouldn’t be stressed as our “Ace” with Strasburg and Zimmermann around, and will only improve as he goes from the AL to the NL. I like his Werth answer honestly; I think Werth could hold his own in Center for at least one season, perhaps two. Baseball America’s Rule5 Preview, part 1 (may be subscriber only). I definitely see some players the Nats could experiment with, given that they are looking for a 7th bullpen arm and a utility infielder. He mentions our own Brad Meyers as a possible draftee, but not one of the marquee names out there. Ken Rosenthal says the team is really on both Prince Fielder and the cuban-FA Yoenis Cespedes. I’m not “against” the interest but am surprised by it. Does the team really want to just give up on Adam LaRoche that quickly? Do they really think Cespedes could play in the majors in 2012? Well, there goes one of my Nats-trade candidates; the Angels acquired catcher Chris Iannetta from the Rockies for prospect Tyler Chatwood. My working theory was that the Angels, who have too many outfielders and especially two many guys who can play center field, would be open to trading one of them (specifically Peter Bourjos) to the Nats for a catcher prospect. Maybe it still can happen. Of course, Rizzo actually has to be in the country in order to make deals (when this trade went down, Rizzo reportedly was in the D.R. scouting Cespedes). Its just a MLBtraderumors chat, but Tim Dierkes is well respected, at least in my opinion. He has the Nats as potential FA suiters for most every major name. Edwin Jackson, Mark Buehrle, Cespedes, Fielder and Pujols, even Jimmy Rollins. Geeze. The new CBA seems almost custom-written to drive out the Tampa Bay Rays. This scout.com article summarizes it nicely. I wonder what the Tampa ownership group said about these negotiations as they were going on. Clearly their methods of gaining advantages through player development and stockpiling draft picks are now obsolete. Jim Callis reports via twitter but captured here some more restrictive items about the draft we’re finding out. Teams in the 13 smallest markets now enter a Competitive Lottery for picks. A quick analysis of the 13 teams selected (from Ben Goessling’s article: the Diamondbacks, Orioles, Indians, Royals, Athletics, Pirates, Padres, Rays, Reds, Rockies, Marlins, Brewers) almost identically mirrors the 13 smallest teams by MSA (in smallest to largest order; Milwaukee, Kansas City, Cincinnati, Cleveland, Denver, Pittsburgh, Tampa, Baltimore, St. Louis, San Diego, Minneapolis, Seattle, Phoenix). The only deviations are the Athletics and Marlins, who would easily be amongst the smallest markets in baseball once you isolate Oakland from San Francisco’s MSA, and Miami from Ft.Lauderdale. Tangotiger posted an interesting discussion on the same topic (where in the comments I posted this same analysis) on his blog here. It looks like the NBA has finally gotten its act together, announcing a tentative deal to salvage the season on Nov 26th. An interesting take on the Bill James “game score” statistic. (click here for a list of the 20-best scores in the last 70 years). Highest ever recorded: an 18-inning shutout pitched by Carl Hubbel scoring a 127 game score. Kerry Wood‘s 20-k 1-hitter is the highest score in the last 25 years, scoring 105. This was also the highest-scoring 9-inning game in baseball history. My initial guess on the best ever game pitched would be Harvey Haddix‘s 12-inning perfect game, lost in the 13th inning. Here’s the box: it scored a 107. The highest ever recorded Nationals game score? 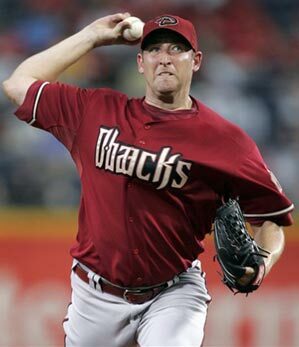 John Patterson in 2005 pitched a 4-hit shutout with 13 K’s, worth a score of 92. Strasburg‘s 14-K debut was worth a 75, though interestingly his final 2011 start (6 innings of 1-hit ball over the Marlins with 10K’s) earned a 78. 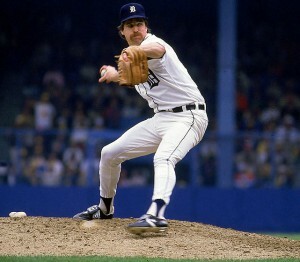 There’s about 10 games out there in the 80s range, including an 88 that I can’t possibly think who could have thrown. Is anyone a baseball-reference subscriber? I use the site multiple times per day; I should probably register and pay for my time. From the great blogger TangoTiger, an Expos Tribute video. From another great blogger Rob Neyer, a news item about the future of baseball in the Portland, OR area. Portland does not have a single pro baseball team in the area, not even a short-season or Indy league team, despite being roughly the same size population wise as the MLB cities of Cleveland and Cincinnati, and being larger than Kansas City and Milwaukee. A shortened Thanksgiving edition, with me being on travel for the holidays visiting family in Dallas. Unfortunately they’re not really baseball fans down here, so conversations about whether or not the move of the Houston Astros and forthcoming rivalry with the Texas Rangers fall mostly on deaf ears. After watching the last couple versions of this post get really bloated and difficult to read, i’m dividing this one up by topic. Cole Kimball is back, two days after we lost him on a waiver gamble. Clearly the team values him, though now my post questioning the move and all the subsequent arguing in comments is moot and seems over-reactive. Nats add four players to the 40-man … but only two that I predicted. More thoughts/opinions here. MLB’s Jonathan Mayo put up his Nats top-10 prospect list. Its a list that does not include any 2011 draftees, so it differs widely from Baseball America’s and Fangraphs. He also has some odd rankings, includes Cole Kimball and has Rick Hague above other more promising candidates such as Robbie Ray or Steve Lombardozzi, given that both are pretty big question marks going forward due to injury. No surprise here; Shairon Martis signed a minor league deal with Pittsburgh. Clearly he wasn’t going to make it in this organization; good luck to him moving forward. He’s very young and could still have an impact. The new deal probably delays Bryce Harper‘s debut, due to new changes in the super-2 status. This is pretty much the exact OPPOSITE of what the two sides needed to do; we want to see these star rookies sooner, not later. Frankly at this point despite it being essentially a useless delay, I’d be in favor of completely scrapping the “super-2” status and just go to a hard 3-years of arbitration. If players are kept down artificially for a week in April, that’s still much better than wasting them til mid-June. Here’s additional links from Adam Kilgore and Mark Zuckerman both discussing this same topic. Here’s some welcome news: Matthew Purke struggled early but finished strong in Arizona due to a quick adjustment by Nats pitching coaches. By the end of the AFL he was hitting 95 with good life on his breaking pitches. That’s fantastic news; if Purke can continue showing this kind of velocity coming from the left-hand side with good secondary pitches, he’ll clearly be closer to the #1-starter potential he showed two years ago. As pointed out by Zuckerman, The Nats won’t be getting any more revenue sharing under the new CBA. And frankly, nor should they, being in the 6th largest market and owned by a billionaire. This is one small modification in the new CBA that makes 100% sense. Yoenis Cespedes apparently expects a deal in the neighborhood $35-50M. Wow. Thats a lot of risk for a player who won’t be MLB ready in year one and who most people only know by his incredibly odd youtube scouting video. At one time Scott Kazmir was an “Ace” in this league; a guy easily within the best 15-20 arms in the league. The Angels gave up on him and released him this summer, eating $9.5M. Nobody else even sniffed the guy. Now he’s set to play in the Dominican Winter League to try to re-invent himself. I agree with the comments in this article mostly; he isn’t even 28 yet. Someone may take a flier on this guy and really get themselves a diamond in the rough. Here’s Jon Heyman‘s predictions on salaries, with some thoughts on possible locations for the top free agents this off-season. Not destinations; amounts. He has Nats sniffing around on Fielder, Buehrle and Madson. Nothing really earth-shattering there. Tim Dierkes reporting that the Nats are visiting Buehrle at his home, and that he’s the #1 priority for this team. We’ll see; I still have my doubts that Buehrle would come to Washington. But signing him pretty much spells the end for Ross Detwiler. The Rangers made an interesting FA signing, getting closer Joe Nathan for 2yrs/$14M. The signing isn’t as much interesting b/c of Nathan (and $14M for what Nathan put up last year coming back from injury is a huge risk). But it does imply that Neftali Feliz is going back to the rotation, and THAT would imply that the Rangers aren’t really that interested in re-signing CJ Wilson. Fair enough for me; starters are far more valuable than closers, and if the Rangers make the world series again in 2012 having lost their #1 pitcher in each off-season, the GM should get a gold star. They’ll go into 2012 presumably with this rotation: Feliz, Ogando, Harrison, Holland and Lewis. They could also slot in Scott Feldman in place of an injury, as a former starter who struggled in 2011 due to injuries. Do you think the Nats would ever consider doing this with Drew Storen? The Nats may be chasing Buehrle, but here’s an interesting note: Roy Oswalt was NOT offered arbitration by the Phillies, so signing him would cost us no picks. And, more importantly, we wouldn’t surrender our unprotected 1st rounder. The Angels need a catcher. We have catcher depth. Maybe we can work a trade? Not many details at first, but the announcement came on Friday 11/18 that the two sides had reached an agreement for a new 5-year labor deal, per Ken Rosenthal breaking the story. Tom Verducci is right though in complaining that there are precious few details right now on how the Houston move affects the schedule. Here’s a nice Labor agreement overview from a good Business of Baseball blog that covers the business-side of the industry, and also a detailed review of the new CBA. Apparently one feature of the new agreement is the elimination of free agent compensation for relievers. This is a welcome move and is refreshing to see, in that this particular rule was clearly broken and wasn’t in the best interests of either the clubs or the players. Matthew Pouliot reports that the new agreement could have a “low-payroll” tax on clubs that don’t spend a certain amount. I struggle with this concept to a certain extent. Clearly teams that pull the plug on free agency and start over have shown that they can be successful in this league. Tampa Bay and (to a certain extent) Texas in recent times have won playoff series with payrolls in the bottom 5 of the league. Meanwhile teams like Pittsburgh and Kansas City may not have big MLB payrolls but are investing heavily in the draft ($17M by Pittsburgh last year). So any such tax would have to be implemented in a way that it allows teams to “start over” without incurring such a tax. I think the last thing we want is to see poor free agent signings and millions of dollars in payroll wasted just to reach an arbitrary level. The bigger problem in this league is not at the payroll bottom, but at the payroll top. Rosenthal calls the new deal a “dagger” to small-market teams. Hard to disagree. Scott Boras says the new deal hurts “all of baseball.” I realize he’s quite biased, but I don’t disagree with him either. It really seems that Selig and his little band of millionaire owners paid little attention to the growth of the game and competitive balance achieved by smart teams building through the draft, and were more interested in saving a few million dollars annually in the draft. Really disappointing. Some career-reflection comments from the Owners meetings in Milwaukee from commissioner Bud Selig. Like him or not, his tenure has resulted in a lot of significant events in the history of baseball. Some good, some bad. Expansion, Wild Card, Divisional play, steroids. Its all in there. Apparently there’s some movement in the A’s relocation to San Jose possibility. There’s some direct parallels here to the plight of the Washington Nationals, and I’d guess that the Giants will get a similar sweetheart regional sports network deal in order to “relinquish” their San Jose territorial claim. For me though, the difference between the Baltimore and Washington markets is much more distinct; there’s really only one road between Washington and Baltimore, and a realistic trip to reach Baltimore’s inner harbor from the Northern Virginia area on a week night in traffic would take more than 2 hours. San Jose is a comparable distance from San Francisco, but with multiple interstate-speed routes between the two cities (I-280, California 101 and I-880) the San Jose market is less distinct from San Francisco. People regularly commute between the two cities. Interesting article from Mike Silva about possible future expansion in the MLB. He thinks two more teams would make sense, one in New Jersey and the other in, wait for it, Montreal. I posted on more or less this same topic in July, concluding that two new teams (San Antonio/Austin and Portland) would make a ton of sense. Of course, what would make MORE sense is two new teams in the two massive markets of New York (perhaps in Jersey somewhere as is suggested) and Los Angeles (specifically in Riverside/Valley area that’s 1.5 hours on a good day from either Anaheim or down-town). But baseball has allowed these owners to have territorial claims that are somehow gifted by god (see the previous San Francisco/San Jose argument) and thus making expansion into these markets an impossibility. With no more rotation reviews, I thought I’d post periodic news items picked up here and there related to the team. I’ll focus mostly on the pitchers in the system but will note other newsworthy items. Our initial announced Arizona Fall League (AFL) participants, in addition to Bryce Harper, include arms Sammy Solis, Pat Lehman, Rafael Martin. Solis is clearly a valued arm, but the selection of Lehman and Martin is interesting for the future of these guys. A number of important minor league arms are in the Instructional League as we speak, a month long “league” that gives minor leagues a bit more time to play after the regular season ends. In addition to high-end 2011 draftees Purke, Meyer, and Turnbull, the likes of AJ Cole, Robbie Ray, Paul Demny, and Jack McGeary are all down in Viera getting a bit more work. Matthew Purke reportedly is throwing well in camp, though no mention made of his MPH. News is that he’s heading to the AFL sooner than later, so we’ll be able to get some game-reports from him soon. Tim Dierkes from mlb trade rumors posted the Nats Arbitration Eligible review, and we really don’t have that many tough decisions. The team doesn’t have to make these decisions til (I believe) December 1st, so we’ll save a post til we get closer to the date. Byron Kerr did a nice profile of Pat Lehman here, a local (GWU) product now playing in the prestigious AFL league (where 60% of players eventually make the majors). Lehman had a great season, ending up as the AA closer, and he may continue his rise in 2012. I project him being the closer in AA to start, with an eye towards a mid-season promotion to AAA. Sammy Solis‘ first AFL start was just soso; 3ip, 1r 2hits and 3walks. Clearly he didn’t have his normal control. Nats Lineup when all Trade/FA rumors go through. 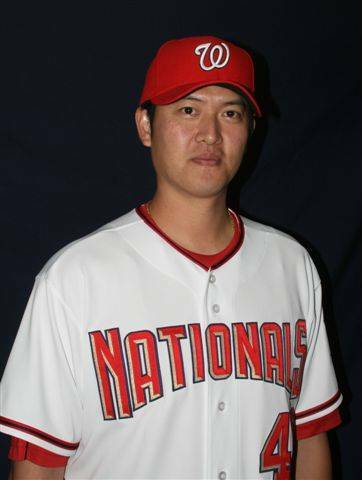 Note: I’ve also seen comments here and there that we’d be interested in Hisanori Takahashi, a 35yr old utility guy in the Mets bullpen or taking Kosuke Fukudome off the Cub’s hands. The former isn’t a FA and is arbitration eligible but the Mets reportedly are non-tendering him. The latter could be mildly intriguing; he’s a decent hitter, a decent fielder who has played center in the past. But it doesn’t necessarily improve over a Morse/Bernadina combo. Of course, i’m also hearing about possible trades for Zack Greinke (as covered in this blog posting) or Matt Garza. I’d love to have either guy of course, but don’t want to give up the farm for either guy. And now that Dan Uggla has indicated that he wants out of Florida (and honestly, given the cheap-skate way the franchise is run and the way the players are run out of town as soon as they get too expensive, who wouldn’t? 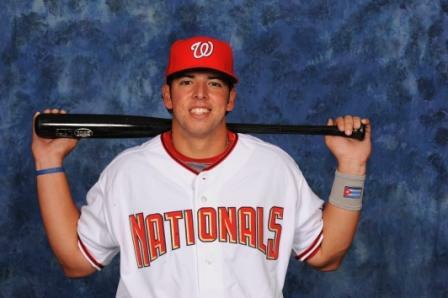 ), there’s all sorts of rumors about his possible destination … and the Nats are in the thick of it. Leaving the likes of Maya, Detwiler, injury disappointment Wang and $15M bust Jason Marquis on the sidelines (to say nothing of the next tier of guys like Stammen, Atilano, Martis, Mock and Chico looking at bullpen spots or AAA). I can’t see Sammy Solis making a Mike Leake-esque debut at the MLB level having never pitched a day in the minors, especially after his less-than-dominant AFL numbers. The POTENTIAL of this rotation is great. Webb’s a former Cy Young winner, Vazquez an innings eater who garnered Cy Young votes in 2009 in Atlanta. Lannan (outside of the first half of last year) is a difficult lefty who gets a ton of ground balls and pitches at a 110 era+ level, Livan is a revalation and Zimmermann is a Matt Cain replica who could be just as dominant with mid 90s possible shutdown stuff. The reality could be just as bad: Livan is a soft tossing righty who depends on guile and is regularly shelled, Webb hasn’t pitched in 2 years, Vazquez has lost his fastball, Zimmermann is promising but has never produced, and Lannan (our Ace) is a #4 pitcher on a good staff. Nothing like glass is half empty/glass is half full analysis. Our non-pitching/out-field lineup looks pretty set already for the 2011 season. I can live with that. Frankly i’d like to see another outfielder acquisition. I liked Bernadina and Morse’s production this year but they’re not game changers. You really need to use your power positions on the field (first and third base, right field, left field) to hold your big boppers, and we need more production out of the RF spot. Jayson Werth would really fit in nicely there wouldn’t he? I guess we wait til 2012 and the introduction of Bryce Harper to fill that spot. I also think we need to do something in center/leadoff. Morgan’s troubles towards the end of last season are well documented, but his production wasn’t earning him playing time. If the Red Sox acquire Carl Crawford, that might make Jacoby Ellsbury available. His 2010 was a wash but he’d be the perfect center fielder/leadoff guy. 2009 stats: 70sbs, .301 BA and a .355 obp. Willingham has mentioned that he would be willing to play First, and I think that’d be a great alternative if we can’t get any of the free agent 1st basement to come here. We could go with an outfield of Bernadina, Morgan and Morse with Willingham at 1st base, giving us a decently good lineup both offensively and defensively. It looks to be a really interesting offseason for the Nats.